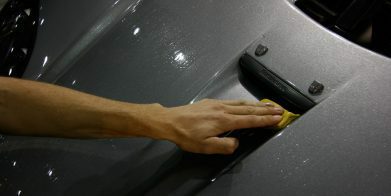 The car detail treatments offered at Miracle Detail have all been developed to work in sympathy with the finish of your car. This requires a comprehensive knowledge of the paints used by luxury motor manufacturers and how they respond to different cleaning products, protective treatments and methods of application. Paul uses the finest shampoos, polishes and coatings to give your car a flawless finish that is simply breath taking. All these services, including mobile car detailing, are undertaken personally by Paul. He uses the best quality products and the most advanced equipment. Whichever service you choose, Paul will apply his Professional knowledge of vehicle detailing to your car. Paul’s obsessive attention to detail will leave your car with a stunning finish that will be protected to last. For an individual service, call Paul on 07788 441150 or fill out his car detailing services contact form. Every Miracle Detail service begins with a luxury car wash, designed to remove dirt and grit without adding any swirl marks to the paintwork. First Paul applies a citrus degreaser to the lower half of the vehicle, paying special attention to areas like wheels, arches and door shuts, where grease and grit can gather unseen. A gentle rinse is carried out using purified water at an optimum 35?C and then he applies a snow foam, rinse and then full wash, using his specially formulated pH neutral Paul Dalton shampoo and a natural sea sponge, which is softer than synthetic sponges and wash mitts. Once the vehicle has had its luxury car wash, it is brought into the studio where Paul examines the paintwork under 8,000 watts of lighting. Here you can see paint defects that you wouldn’t be able to pinpoint under natural sunlight. Paul encourages clients to come and inspect their car with him under studio conditions and discuss the best treatments to suit your car and budget. He also uses a unique Rhopoint IQ meter, which measures the quality of a reflected image in the finished surface and detects defects such as ‘orange peel’, which reduces the depth, shine and clarity. The treatment begins with a test section to ascertain which machines, polishes, compounds and pads will achieve the best result, before carrying out the same process to the entire car. 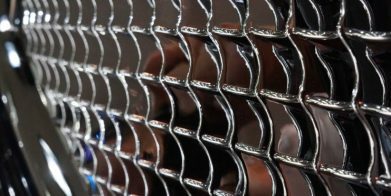 Until you’ve seen the effect of Modesta glass coating, you won’t believe its aesthetic and protective properties. Glass coating (also known as ceramic or nano coating) applies a hard, thick coat that adds an intense depth to the paintwork and helps to protect it against the more aggressive elements, such as stone chips, bird droppings, tar, road grime and iron filings. Depending on how and where you use your car, Modesta glass coating can endure for up to five years or more. It also reduces your car’s drag coefficient, which means quieter, more economical motoring and has self cleaning properties, so when it rains, the car washes itself. You can also specify wax coating protection, which lasts for six months to a year, takes about an hour to apply by hand and provides beautiful depth to the finish and good protection against lighter contaminants and rain. Miracle Detail glass protection not only adds a radiant gleam to your windscreen and windows, it greatly improves visibility too. This is especially important when driving at night in wet conditions, when a smeared windscreen can severely hamper your ability to see clearly and safely. 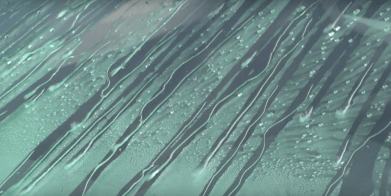 The hydrophobic (water repellent) properties of Miracle Detail glass treatment products are such that, at speeds above 30mph, rain landing on your windscreen will bead together and fly off without the need for your wipers. The effect is spectacular and makes driving in adverse weather conditions much safer. Miracle Detail glass protection is as durable as it is beautiful, lasting up to two years or around 24,000 miles. If your wheels are in perfect condition, Paul can clean, prepare and glass coat them so it’s easy for you to keep them pristine. 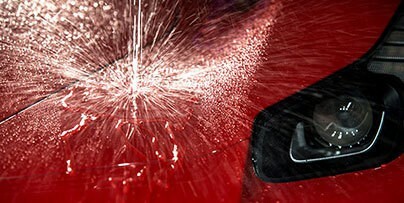 If they’re damaged, he can restore them to better than showroom condition, before applying the glass coating. 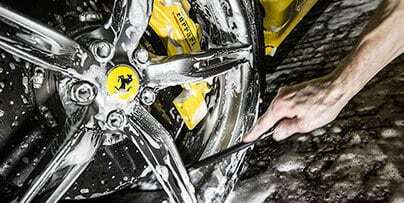 He removes the wheels in order to apply the protection treatment to the inside rim and faces and he gives the tyres a thorough clean and dressing with his specially formulated PD Car Care Tyre Preserver. Leaving the tyres undressed on a prestige car is like wearing muddy wellies with a tuxedo. PD Car Care Tyre Preserver will restore the gloss to your tyres, as well as extending their life by keeping them supple and protecting them from the perishing effects of sunlight. A popular treatment among owners of vintage cars in particular, Miracle Detail chrome detailing brings out the full majesty of those classic bumpers, trims, lights, mirrors, wheel spokes, badges etc. Paul will polish and protect the chrome to make it resilient against the elements and road grime. Where chrome has been damaged or worn, he can restore it to mint condition before applying the protective finish. Some of Miracle Detail’s vintage car detailing treatments have turned into full restoration projects, including rewiring and upholstery renovation. If you have a vintage car that is in need of some love, come and talk to Paul about what Miracle Detail can do to make it look young and beautiful again. Paul is always excited when he finds an eco-friendly way of carrying out his work. That’s not always easy when you’re tackling grease and oil residues but, thanks to sponsor Polarjet, Miracle Detail one of very few car detailers to have the use of their unique cleaning system. This ingenious machine is a piece of Swiss technology, which uses dry ice to cut through oil and grease and wash it away, without the need for any water or chemicals. The Polarjet Cleaning System enables Paul to thoroughly clean engine bays, arches and under the car, where the worst oil and grease deposits collect and are hard to remove using conventional cleaning methods. The dry ice method gets into all the nooks and crannies, as well as being kinder to the user, kinder to the environment and kinder to your car. Miracle Detail interior detailing services range from a thorough vacuum and dust to a comprehensive deep clean, which can take up to two days in some cases. It essentially covers the leather, fabrics, trims and glass but these break down into numerous separate components, each requiring its own special tools, products and treatments. Dirt will gather under the seats, pedals, roof linings etc and needs to be painstakingly cleaned out in order to keep your vehicle’s interior fresh and healthy and looking as good as new. "After 18 years of battling the English elements, the red coachwork of my 911 was becoming faded, so I engaged the services of Paul at Miracle Detail. I was genuinely rendered speechless by the amazing results. The bodywork looked showroom fresh and the wheels pristine. I immediately took the car out for a drive and within five minutes a fellow motorist wound down his window and said, “What a beautiful car!” This is the first time that’s ever happened. Cheers Paul, you’re a Miracle worker."